If you are representing yourself you must fill out all the forms. The clerk of the district court cannot help you fill out any legal forms. Modifying a child support order can be complicated. Representing yourself in such cases may not be appropriate or wise. Although it is up to you to decide whether and how you use a lawyer in your modification, the law does allow you to request a modification without a lawyer. Another option is to hire a lawyer to do only part of your case. This is called Limited Scope Representation. 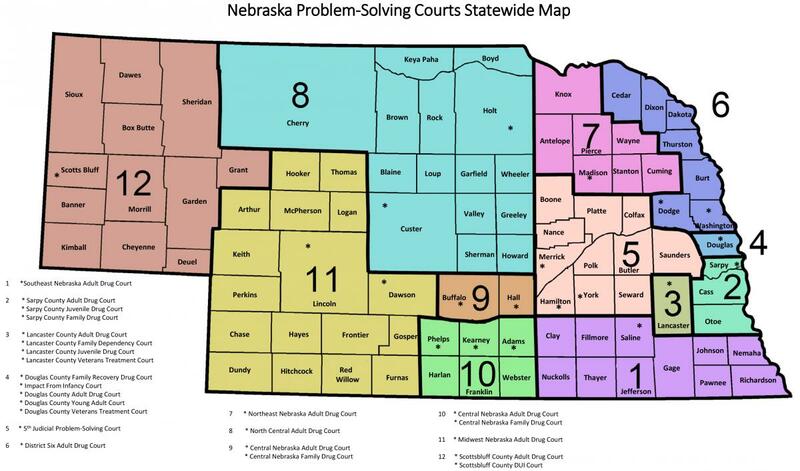 To find out more about Limited Scope Representation click on this link: https://supremecourt.nebraska.gov/limited-scope-representation or here http://nefindalawyer.com/. A child support order includes the monthly child support obligation, the obligation to carry health insurance, and the obligation to provide child care expenses. The income of the person obligated to pay child support has increased or decreased. The financial circumstances have lasted 3 months and can reasonably be expected to last for an additional 6 months. If you want your child support lowered, you have to prove that the decrease in your earnings was not your fault, e.g., you didn’t quit a job. The cost of health insurance available to the person obligated to carry the health insurance has substantially increased or decreased. The cost of childcare expenses to the person obligated to pay them has substantially increased or decreased. NOTE: UNLESS YOU MEET AT LEAST ONE OF THESE REQUIREMENTS YOU SHOULD NOT ATTEMPT TO MODIFY YOUR CHILD SUPPORT USING THESE FORMS AND INSTRUCTIONS, AND YOU SHOULD NOT PROCEED WITHOUT THE HELP OF A LAWYER. You start the legal process by filing a Complaint for Modification of Child Support with the clerk of the district court in the county where the original order for child support was entered. There is a cost to file a Complaint for Modification of Child Support. The case number assigned to the original action must be included on all documents you file with the court in the future. If you are filing for a child support modification without a lawyer, you must complete all the necessary forms. The clerk of the district court cannot help you prepare any legal documents and can provide only limited information about the process. Once you have filed your Complaint for Modification of Child Support, it is important that you inform the clerk of the district court of any address changes. If your address is confidential under Nebraska or Federal law, provide only the county and state and provide an alternative address for mailing of notice. You must submit a Financial Affidavit for Child Support at the time you file the Complaint and you must give the court a proposed Child Support Calculation at the hearing. If you are requesting a change on the health insurance obligation, you must submit proof of the cost of health insurance for you alone and the cost of health insurance for your child(ren). Health care costs include coverage for medical, dental, orthodontic, optometric, substance abuse, and mental health treatment. A parent’s support, childcare, and health care obligation shall not reduce his or her net income below the poverty guidelines. https://aspe.hhs.gov/poverty-guidelines. In very low income cases, a minimum support of $50, or 10% of the obligor’s net income, whichever is greater, per month may be set. What must you take to the clerk of the district court to file a modification of child support? Complaint for Modification of Child Support (Decrease) (DC 6:14(4)) OR Modification of Child Support (Increase) (DC 6:14(5)) - This is the first document you must give to the clerk of the district court. When you file this document, you begin the process of getting a modification. However, filing the Complaint is only the beginning of the process – the child support will not be modified until the judge signs the Order and the Order is filed with the clerk of the district court. Please refer to the instructions for Completing the Complaint. (DC 6:14(4a) for decrease) or (DC 6:14(5a) for increase). The filing fee. You must pay a filing fee at the time you file the complaint for modification. The clerk will tell you how much this is. If you cannot afford to pay the filing fee because you have a very low income, you can ask the judge to waive the filing fee. This is called proceeding In Forma Pauperis. To do this you will file the forms following the instructions found at this link. Prepare the Financial Affidavit for Child Support (DC 6:5(2)) using the Instructions for Completing the Financial Affidavit for Child Support (DC 6:5(2a)). Confidential Employment and Health Insurance Information and Social Security Information forms (DC 6:5(11) through DC 6:5(12a)) -- These documents must be given to the clerk of the district court at the time of filing your Complaint. Call the sheriff's office for the county where your child's other parent lives. NOTE: YOU MUST SERVE THE OTHER PARTY (OR FILE A VOLUNTARY APPEARANCE SIGNED BY THE OTHER PARTY) WITHIN SIX (6) MONTHS OF WHEN YOU FILE YOUR COMPLAINT FOR MODIFICATION OF CHILD SUPPORT. IF YOU DO NOT SERVE THE OTHER PARTY OR FILE A VOLUNTARY APPEARANCE SIGNED BY THE OTHER PARTY WITHIN SIX (6) MONTHS OF THE TIME YOU FILE YOUR COMPLAINT FOR MODIFICATION OF CHILD SUPPORT, YOUR CASE WILL AUTOMATICALLY BE DISMISSED AND YOU WILL HAVE TO START OVER AGAIN. If you are the responding party in this case for Modifiction of Child Support, you can file an Answer and Counterclaim for Modification of Child Support(DC 6:15(7)) using the Instructions for Completing the Answer and Counterclaim for Modification of Child Support (DC 6:15(7a)). After you have signed the original Answer and Counterclaim for Modification of Child Support, you must file it with the clerk. Make sure to fill out the information requested in the Certificate of Service at the bottom of the last page of the Answer and Counterclaim and sign the Certificate of Service before you file the original Answer and Counterclaim with the clerk of the district court. Make two copies of the Answer and Counterclaim for Modification of Child Support after you have signed it but before you file it with the court. Send one of those copies to the other party by first-class mail, and keep the other copy for your files. You must contact the clerk of the district court to ask about how to get a hearing date and time in your modification case, since different courts have different procedures. Make two copies of the Notice of Hearing after you have signed it but before you file it with the court. Send one of those copies to the other party by first-class mail to the address where they were served, unless that address is not their home address.If that address is not their home address, or you know that they have moved, send Notice of Hearing to their current home address.Keep the other copy for your files. The court must decide if the child support originally ordered should be modified. In Nebraska, the courts use Child Support Guidelines to determine the amount of child support to order. In order for the court to use the Guidelines, it must have certain financial information about each party. The Financial Affidavit for Child Support will provide the court with that financial information. Once you have completed the child support calculation, put it with the papers you will take with you to court. The court will use the information to determine whether a modification of child support should be ordered. Prepare an Order of Modification of Child Support (DC 6:14(12)) using the Instructions for Completing the Order of Modification of Child Support, (DC 6:14(12a)). You will bring two copies of this order to the hearing to give to the judge. Bring two copies of the Child Support Worksheet with you to the hearing. Prepare what you are going to say in court. A sample of what you might say in court is included with these forms and is entitled "Instructions for your Modification Hearing" (DC 6:14(13)). It is suggested that you write out what you want to say ahead of time and read it when you go to court. Practice what you want to say so that you won’t be too nervous when you go to court. Arrive at your hearing at least 15 minutes before the hearing is scheduled. Once you arrive at the courthouse or justice center, you should ask the clerk of the district court how to let the judge know that you are there for your hearing. You must go to the hearing at the courthouse or justice center and testify (talk under oath) about your modification. During or before your testimony, ask the court reporter to “mark” the child support worksheet as an exhibit. You will offer his exhibit to the court during your testimony. Once you have testified, the judge will decide if you will get a modification and if the Order of Modification of Child Support that you prepared is done correctly. If the judge signs the Order that means that the judge has decided to modify the prior child support order. If the judge signs the order, the judge also will sign the copies of the Order and give them to you. If you want an official ("certified") copy, you should ask the clerk of the district court how to get one and what the cost will be to get one. If you do not appear at the hearing, your case may be dismissed and you will have to start over again. If you know in advance that you will be unable to appear, contact the court.